Anytime Services And Maintenance, Inc.
D & K Air Systems, Inc. Comment: I am purchasing a home and need to determine how much it would cost to have the forced air furnace and air conditioner serviced. The HVAC has a flow issue that need to be investigated. Comment: I would like to get an estimate for some to relight pilot light to my furnace that went during a power outage. 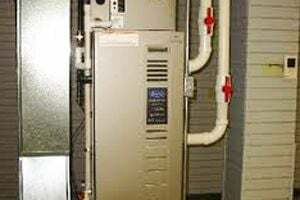 Comment: Purchased condo in Baltimore City and home inspector reported that furnace needs to be cleaned. Comment: Boiler needs repair, not replacing. Home shield will pay for repairs. Free estimate and inspection is needed. Comment: Quote for a combi hot water and forced water heating system, 1000 square ft row home. Breezeway Heating & Cooling Co., Inc.
Baltimore Heating & Furnace Contractors are rated 4.72 out of 5 based on 7,342 reviews of 94 pros. Not Looking for Heating & Furnace Systems Contractors in Baltimore, MD?